Tik's Texas Hold 'Em. 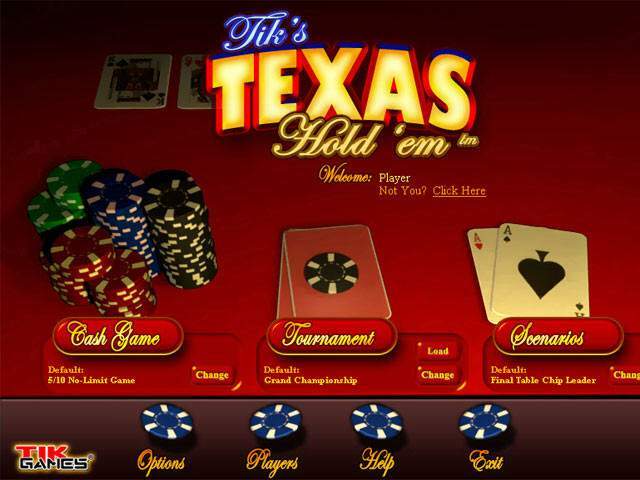 Free download Texas Hold 'Em game. 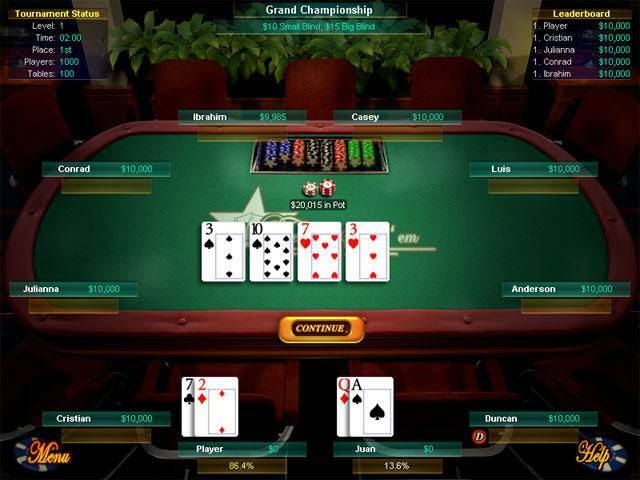 Tik's Texas Hold 'em Poker is the most realistic poker around. Whether you're a beginner or a pro, you can enjoy the thrill of the perfect hand, or the perfect bluff! Test your skills in Cash Games and Tournaments, or fine-tune your skills playing the Scenario you always wanted to be in! You can even customize the variations to find your perfect game. The comprehensive Help provides details on each aspect of the game. Tik's Texas Hold 'Em Poker... it's the closest thing to actually being there! Cash Game, Tournament Or Scenario Play! Create Your Own Perfect Poker Game! Play Dozens of Game Variations! We have no player reviews for Tik's Texas Hold 'Em yet.